Test tube meat. Laboratory meat. Cultured meat. 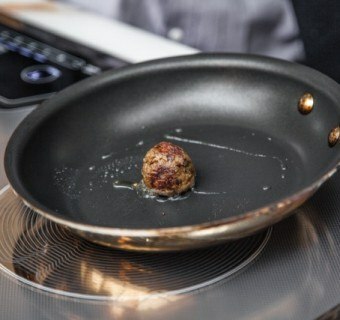 The $330,000 hamburger cultivated in a Petri dish. The very thought makes many of us squeamish in an era where many consumers are already creeped out by genetically modified crops and of course, GMO meat. But the current alternative is one that is a brutal business. Billions of animals are butchered annually to meet the global demand for animal protein, which is surging in developing countries as dishes resembling what’s readily available in the West are seen as progress. Some companies, such as Beyond Meat, are trying to replicate the taste of chicken (and are doing a solid job), while one startup has dabbled with a bloody, oozing burger that is vegetable-based. The reality, however, is that many humans crave that scent and taste for grilled meat. To that end, yet another alternative meat startup, Memphis Meats, is doubling down on meat products cultivated in the laboratory instead of the factory farm. Earlier this week, Memphis Meats scored $2 million in seed funding, which in part has allowed the company to officially launch today in San Francisco. Pairing Silicon Valley technology with the reputation of Memphis’ famous barbecue, the company insists it can bring its cultured meat products to market within five years. The company’s co-founders include its CEO, Uma Valeti, a cardiologist based in Minnesota; Nicholas Genovese, a stem cell biologist; and Will Clem, a biomedical engineer who runs a chain of barbecue restaurants in the Memphis area. Memphis Meats has already touted its success creating the “world’s first cultured meatball,” and has developed meat out of pig, chicken and beef cells. Eventually the company will create sausages and other meat products that will meld cultured meat with recipes developed by famous chefs. One of the company’s largest supporters is the Good Food Institute, a non-profit that is dedicated to disrupting the global food supply chain. Besides reducing the number of animals slaughtered annually—a number that will only surge as the world’s population reaches 9 billion by 2050—the organization touts cultured meat as a more sustainable alternative. The Good Food Institute claims it takes 23 calories of feed to create one calorie of beef; Memphis Meats insists it can produce one calorie of meat from only three “inputs,” as in the water and energy required to keep such laboratories operating. The company, as would any competitor in this space, faces an uphill climb. First, consumers will have to be educated as the “ick” factor will be tough barrier to overcome. And one study has suggested that lab-produced meat may actually require more energy than farmed meat, so those statistics need to be sorted. In fairness, however, the reduction in methane and other greenhouse gasses, plus the fact that less animals would be slaughtered, together provide a powerful argument for laboratory raised meat. Many global organizations have long pointed out that the global meat industry has a larger environmental impact than that of the world’s transportation sector. With more consumers open to new alternatives to conventionally farmed meat, the next decade could very well see a revolution in food production that only a few years ago seemed more science fiction than based on actual science.